White Lightning is one of the newest thermogenic products from APS Nutrition. White Lightning is designed so you will feel the jolt of extreme energy! White Lightning™ is not for the light hearted or those not accustomed to powerful stimulants! White Lightning™ is easily distinguished from other diet aids by the jolt of energy you get when taking it! Millions of people have enjoyed the effects of strong stimulants, now White Lightning™ takes extreme energy to another level! White Lightning™ will cause you to feel the jolt of extreme energy from the moment you take it and will stay all over you for hours! Added benefits of White Lightning include its ability to vastly increase cognitive function and concentration as well as exhibiting a level of thermogenesis that will have you burning fat with each day of use. If you really want to make the most out of your workouts or find yourself needing a no-crash burst of mid-day energy, White Lightning is an absolute must have supplement! 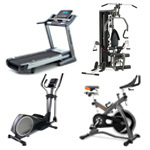 Buy White Lighting from Fitness Market at a great price. Buy APS White Lightning Weight-Loss Powder from Fitness Market and save! With our efficient dispatching and quick delivery throughout Australia, APS White Lightning Weight-Loss Powder can be yours sooner. Below you can rate and add reviews for APS White Lightning Weight-Loss Powder.